US Secretary of State Hillary Clinton has held her first talks with newly elected Egyptian President Mohammed Morsi, as well as with military strongman Marshall Hussein Tantawi. Crowds took to the street to protest her visit. Few details of the hour-long meeting, which was much more low-key than previous talks with the president, were released. However, a US State Department official said Clinton and Tantawi had discussed the political transition and economic matters, including an aid package. Ahead of the meeting, she called on the Egyptian military to give President Morsi full powers and to return to its essential national security function. She also said the US would forgive $1 billion in Egyptian debt and would provide $280 million for the country’s economic development. The aid comes on top of the $1.3 billion the US provides to the Egyptian military. 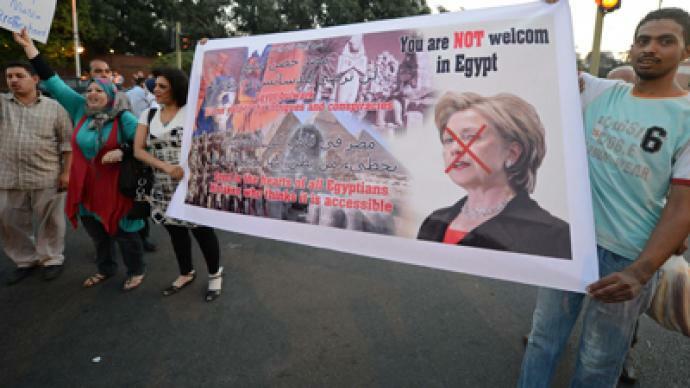 Soon after meeting with Clinton, Field Marshall Tantawi said the country’s armed forces would not allow a “certain group” to dominate the country. Though he did not specify which group he meant, his words were a clear allusion to the Muslim Brotherhood, who are now in control of the presidency and the legislature. This statement underscored the political tension between the two groups in control of the country: the military and the Muslim Brotherhood. 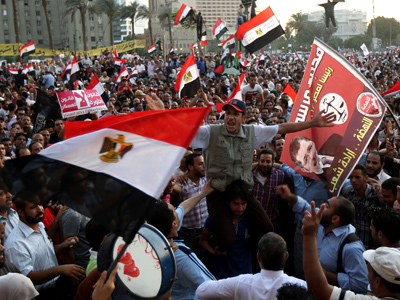 Tensions between the two have been simmering throughout the transitional period that followed Hosni Mubarak’s ouster. 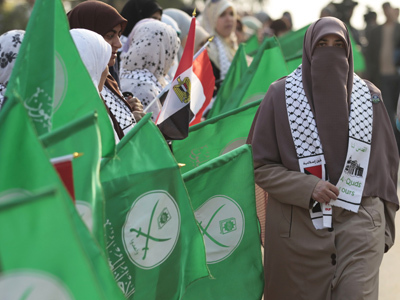 The Muslim Brotherhood, along with other Islamists, won the largest number of seats in the country’s parliamentary elections, which took place over several stages between November and February. Political parties then tried to come to an agreement on the composition of a panel that was to be set up to draft the country’s constitution. The Islamists in parliament tried to fill the panel with their own supporters, but that move was thwarted by Cairo’s Administrative Court amid a boycott of liberals and secularists. Bickering between the parties ensued, and an agreement was only reached in June. By that time, however, a new political crisis had emerged. Shortly before the second round of the presidential elections, the country’s Supreme Constitutional Court annulled the results of the parliamentary poll, effectively dissolving the lower chamber of parliament. 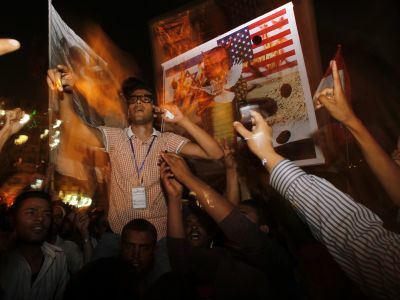 Several days later, the SCAF issued a decree delegating itself a number of legislative and budgetary powers and abrogating those of the president. The decree also allowed the SCAF to appoint members of the constitutional panel, with additional powers to veto the panel’s decisions. 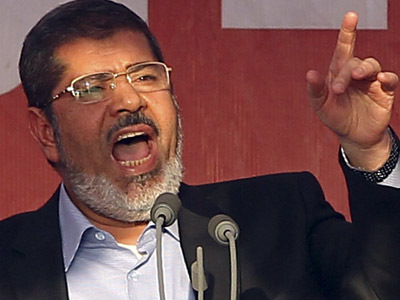 Soon after Mohammed Morsi stepped into his position on June 30, he issued an executive decree allowing parliament to reconvene. The decree also granted the legislature powers to draft a constitution instead of the ad hoc panel. The move appears to have deepened the crisis between the two branches of power, namely the Islamist-dominated legislature, backed by the president, and the military-backed courts. In the latest development, just as Hillary Clinton was meeting with Tantawi on Sunday, Cairo’s Appeals Court refused to look into a lawsuit filed by parliamentary speaker Saad El-Katani, who challenged last month’s decision to dissolve the legislature. 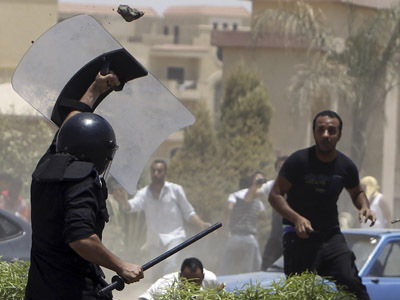 The case now heads to Cairo’s Administrative Court. Blogger and journalist Wael Eskander believes the US is not backing either of the sides in Egypt’s internal political conflict. He said that what the US is trying to do now is to see who will win the political battle and reinforce the power structure that results from it. Middle East expert and independent journalist Larry Everest says that the troubles of the Egyptians are the last thing on Clinton’s agenda. 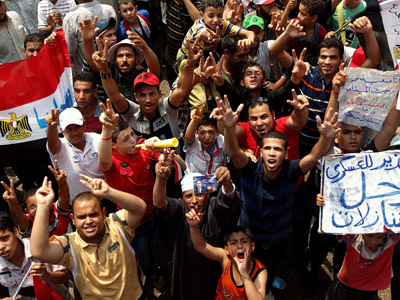 For years, Cairo has been receiving from Washington around US $1.5 billion in aid annually. Most of this money goes to its military. “The US remains a dominant power [in the region]. It’s trying to maintain that dominance in the new situation, with new tactics in the wake of the Arab Spring,” Everest added.